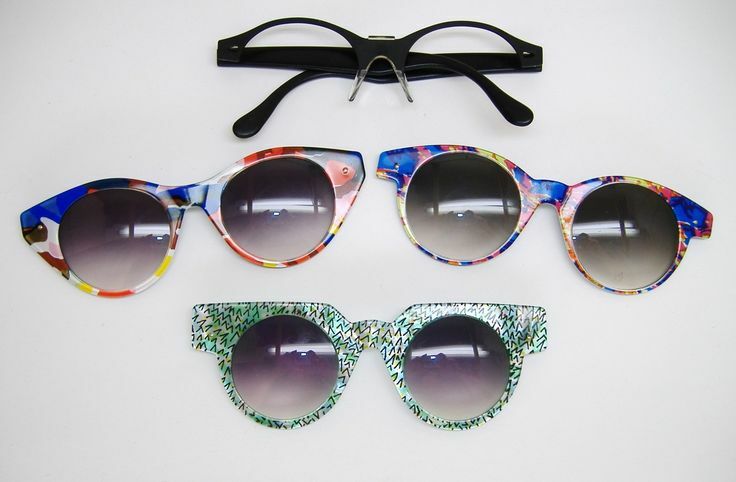 Swatch Group AG will introduce sunglasses under its namesake brand this year under a five-year alliance with Safilo Group SpA, the companies said in a statement Tuesday. The Swiss watchmaker will help the Italian company design collections that will be available in the spring. 88 swatch lots were offered at Auctionata 50 hit the high estimate and much more. The following watch High estimate was 240 Euro it was sold for 650 Euro. Starting bid was 340 Euro the high estimate 680 Euro and it was sold for 700 Euro plus buyer Premium. Inspired by Russian folklore, we have created a lovely Mother's Day gift — a set of five nested Matryoshka dolls with three watches hidden inside. 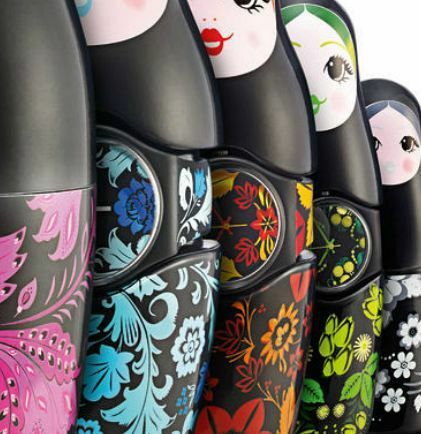 These famous Russian Matryoshka dolls and the three colorful watches inside tell the story of three generations of women: a mother, her daughter, and her grand-daughter, each one nested within her own mother. As Swatch celebrates 30 years of creating colorful, exciting watches in line with the latest trends, the incredible story of Swatch is embodied in a special 30th anniversary watch, 'Swatch Est. 1983'. 22.9 × 3.5 cm (9 × 1.4 in). Produced by SWATCH. Number 9 from the edition of 100. Stamped on the underside ‘009/100’ and printed signature ‘Helmut Newton’. Together with the original case. One of the most complete collections of Swatch watches in the world sold for HK$51,707,500 or nearly $6,650,000 in Hong Kong recently. Swiss businessman Peter Blum and his wife Linda assembled the collection over a period of years. The collection’s 4363 pieces includes a large number of prototypes, hybrids and production variants never brought to market. Many of the prototypes date from the extraordinary period prior to commercialization of the first Swatch watches in the early 1980s, and so are extremely rare. Among the most interesting and sought-after by collectors are a number of prototypes designed by the American artist Keith Haring, as well as the artist’s legendary Swatch watches Modele avec Personnage, Milles Pattes, Serpent and Blanc sur Noir. Additional rarities include Swatch watches created by artists Mimmo Paladino, Alfred Hofkunst and Sam Francis. Conducted by Phillips de Pury & Company, this one-of-a-kind auction attracted considerable interest during pre-sale showings in New York, London and Shanghai, where it was exhibited at the Swatch Art Peace Hotel, the restored cultural landmark and art hotel on the Bund. The Four Seasons Hotel in Hong Kong provided the backdrop for what proved to be a historic Swatch watch sale. Latest auction news Hollywood Dream swatch was sold for $610.00 on Jan 15 2008. Swatch Group and US jewelery and silverware company Tiffany & Co announced a strategic alliance for the development, production and worldwide distribution of Tiffany brand watches. The Swiss watch maker will incorporate a new watch-making company that will be authorized to use Tiffany's trademark and operate under the Tiffany name. The new entity will be wholly owned by the Swatch Group but Tiffany will share in its profit and have one seat on its five-member board. rnUnder the agreement, Swatch will produce existing Tiffany watch designs and add new ones. It will also have the right to establish Tiffany & Co watch stores in certain markets outside the United States. These stores could also sell some Tiffany jewelry, the companies have said. rnThe initial term of the arrangement is for 20 years, with an option to extend it for another 10 years if certain conditions are met. rnThe picture is of curtain made entirely of Swatch watches. Need your help, I acquired this swatch, part of a collection,the swatch model is GK710 Gold Breeze released in 1994, not sure about the crown and the crystals, when it was released? If it is Special Limited edition, country specific..? or is it custom made?. Any help will be appreciated.